Poolside is proud to be southeast Wisconsin’s leading vendor of quality Bullfrog brand hot tubs, as well as above ground swimming pools and premium custom inground pools. 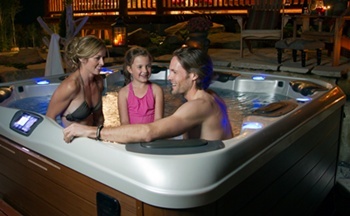 Stop in our North Prairie showroom to explore the full line of Bullfrog spas and Seaspray aboveground pools. Our Poolside crew will be happy to walk you through your options and help you create the backyard oasis that you’ve always dreamed of. Above ground pools are a cost-effective alternative to inground pools, and offer the advantage of being easily removed from your property should you decide to sell your home at some point in the future. With over 30 years of experience helping Lake Country homeowners choose the right above ground pools and maintain them, our reputation and dedication to the area have made us the top choice for backyard pools and spas. When you meet us, we’ll go over everything involved in having an aboveground pool installed and provide you resources for reputable contractors in the area. Once your pool is in place, we’ll be here for all your swimming pool needs—from pool chemicals and covers to free water analysis and equipment maintenance and repair. No one wants to swim in a pool that’s become a petri dish. If you ever have a concern about your pool water not looking right, or having too much chlorine, bring us a sample and we’ll do a free analysis on it. Poolside was founded on a simple principle: “treat everyone like a neighbor,” so don’t hesitate to bring us a water sample and any questions you may have. We’ll be happy to answer your questions and educate you on how to maintain your pool (or spa) and keep your water clean and safe. Poolside has the swimming pool accessories, pool maintenance services and hot tub services you need to keep the water in your pool or hot tub sparkling clear and safe. We also provide both in-store and on-site service for any mechanical issues that may arise. “Ahhhhhh.” That’s what you’ll be saying when you have a seat in the Infinity™ IT-8500 Massage Chair. This chair is one of the best massage chairs on the market today, with state-of-the-art features like body scan sensors, customizable massage options, and much more. We could go on and on about how great this massage chair is, but you’ve really got to experience it for yourself. C’mon by and try it out. We’ll show you everything it offers and you’ll see why we consider it the best massage chair available. 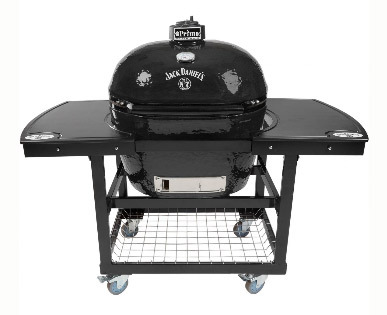 Poolside is a certified Primo Grills dealer with the full line, including the Jack Daniels Edition Oval XL 400. Primo Grills--a Primo exclusive. Primo is the only ceramic grill made in the USA. Their patented oval design allows for true two-zone cooking. Every Primo kamado style grill is built to last a lifetime and backed by a Limited Lifetime Warranty. As a certified Primo Grills dealer, Poolside can also order Primo carts and accessories to complete your grilling station. 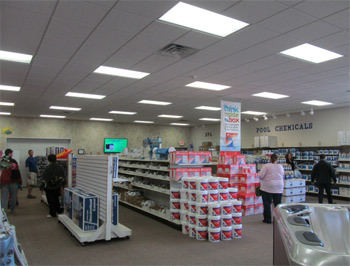 Our knowledgeable staff is ready and available to answer any questions. If you’re ready to experience a little piece of Heaven, Poolside can make it happen. 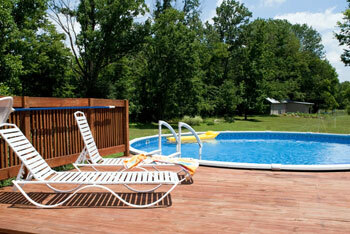 Inground and aboveground swimming pools provide fun all summer, while spa owners enjoy their Bullfrog Spas year round. Whether you're looking for summertime fun in a pool or would prefer soaking in a hot tub spa on a crisp fall night, look to Poolside first. Contact the Wisconsin swimming pool company experts at Poolside for inground swimming pool, above ground swimming pool and hot tub spa installations.